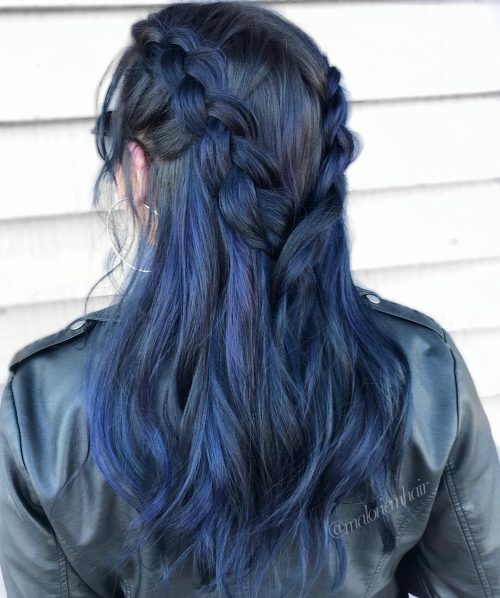 For blue back hair, a dark black hue with a hint of blue is not only mysterious but very flattering. It’s a great way to show your daring side with every turn of your head catching the light and exposing your bluish hue! 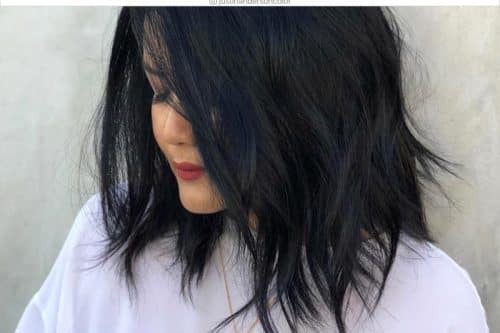 There are plenty of combinations of blue colors from lighter royal blue to navy or midnight blue to fuse with black hair color to flatter any skin tone. Lighter shades go well with dark and fair skin and darker ones compliment light and pale skin tones. 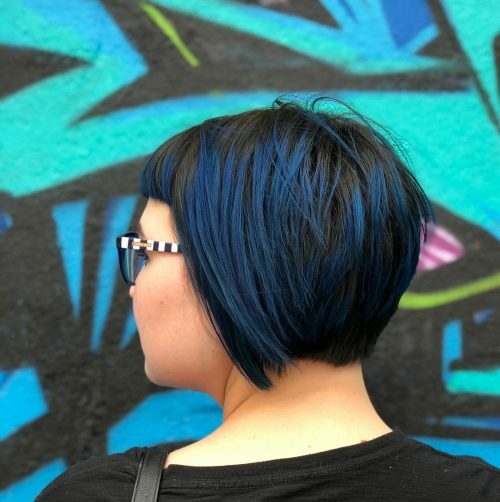 Check out these exquisitely different ways to showcase anywhere from bold to soft blue black hair. 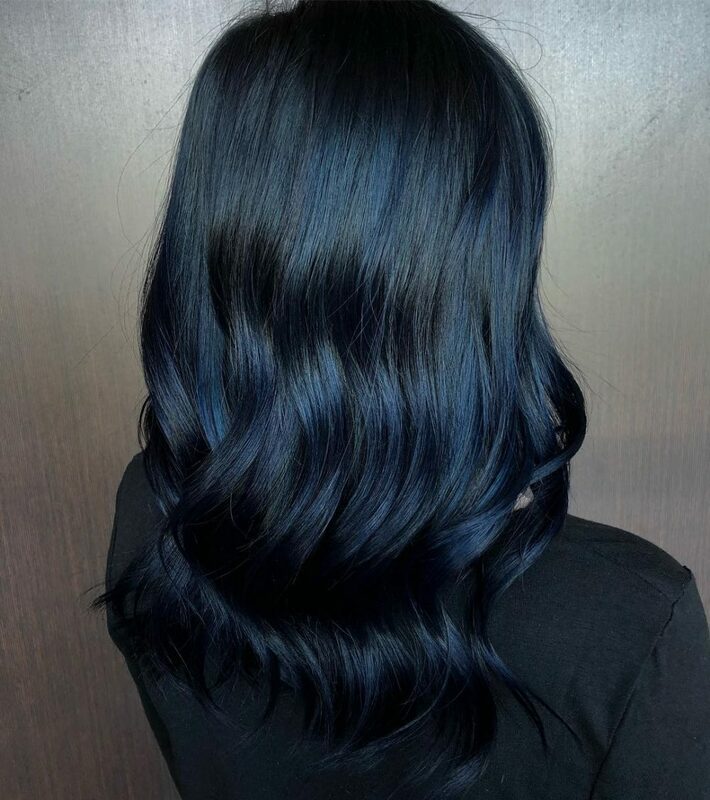 This natural black hair color goes great with subtle midnight blue highlights. 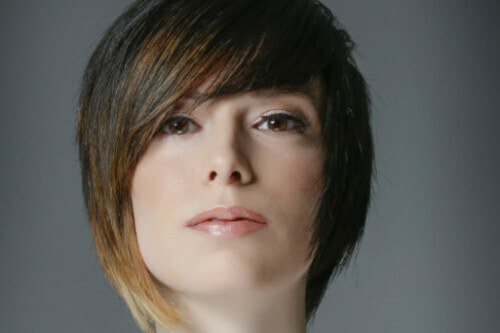 The short bob has great reflective beauty as the shades have a slight twist in hues more noticeable with movement. If you have natural black hair color, adding highlights can offering some flattering but not extreme changes. Going from black to a lighter hair color for an ombre can be hard to to achieve so many people chose darker shades for a smaller transition. This icy blue is opulent with the black color from the top. If you are searching for black blue color with darker tones this is definitely the ideal look. 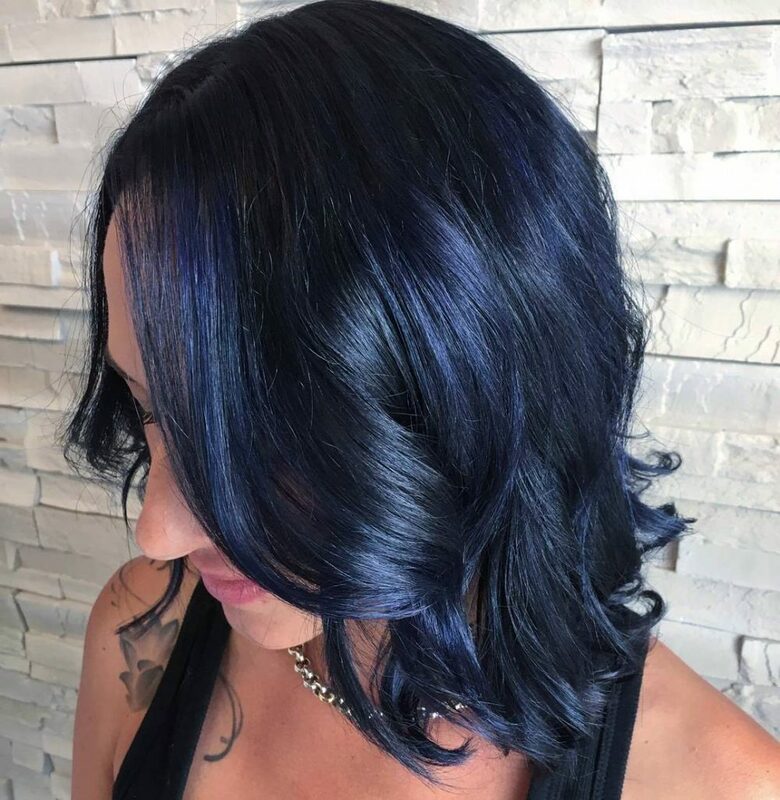 The midnight blue can be seen as the light hits certain angles of the medium layers. 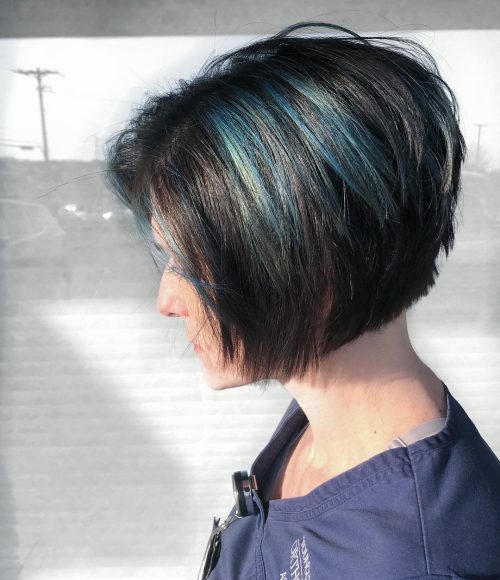 This short bob hairstyle combines the natural black root color with some blue hair dye and foiling to create panels of color. Adding the color to the bangs is a great touch as well. For Val’s hair, I created both this cut and color. For her color, we went one shade darker than her natural color. I feel most times if you stick with a medium brown, the brighter colors don’t pop as well, so we decided to go just a bit darker. I used Matrix ColorSync as my base color and Joico as my vivids. I made sure to give a lot of texture to this cute little bob. Val has finer hair. When she first found me she had hair halfway down her back and it was not working well for her. Going shorter was the best option to give her the most volume! We finished the Bobbie with Amika’s un.done texture spray! My favorite part about this look is how well Val rocks it. She’s a nurse at an office in town, but these pops of blue are just enough to keep it biz casual! This look is not for everyone. You have to consider face shape when doing certain haircuts. For example, this style would not be as flattering on someone with a rounder face shape. This little Bobbie can be styled showing off all its texture with either some texture spray, a light paste, or some hairspray! The vivid shades are an investment. I warn clients beforehand and go into detail the effort it takes to maintain these colors. I make sure to state, these colors fade over time. If you aren’t using the correct shampoo and conditioner they fade, if you are using hot water on your hair they fade. If you are in the sun without a UV protector they fade. If you’re in chlorine they fade, and the more often you wash your hair, the quicker they fade. But the upside, they’re beautiful, they’re fun, and I love creating these colors! This look was perfect for Cherie because she already had almost black hair, so as time went by, she did not need to touch up the black at the base. This look is relatively low maintenance. The hair is lightened in a way that grows out really well, so you might not need to get it touched up for a few months. 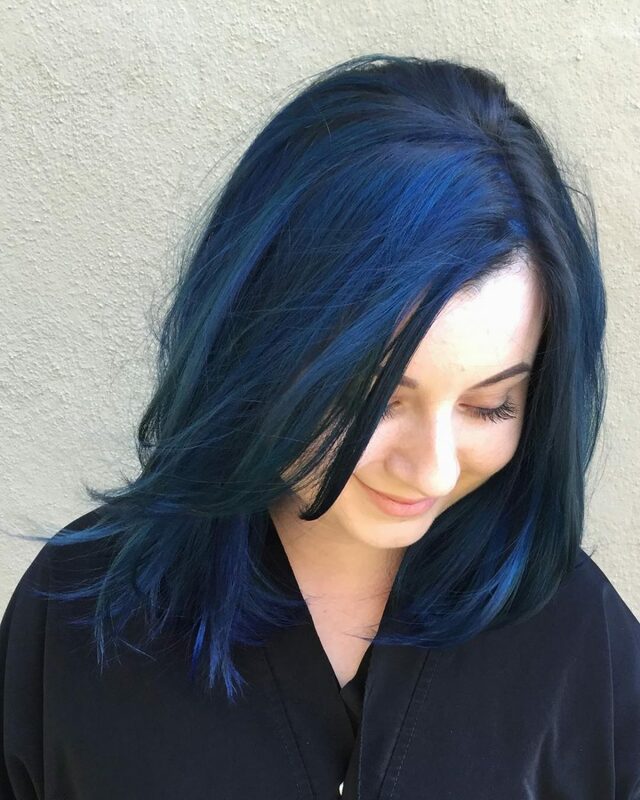 The blue is easily maintained at home with a color depositing conditioner. 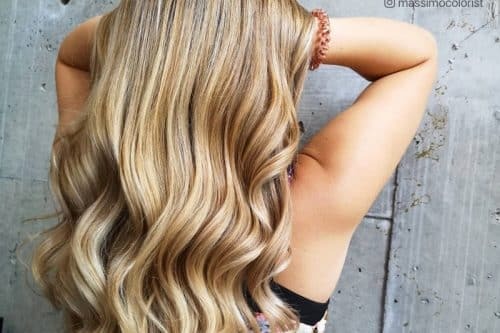 To maintain a bright color, it is recommended you wash with cool water and no more than twice a week using color safe shampoo and conditioner, as well as the color depositing conditioner when needed. 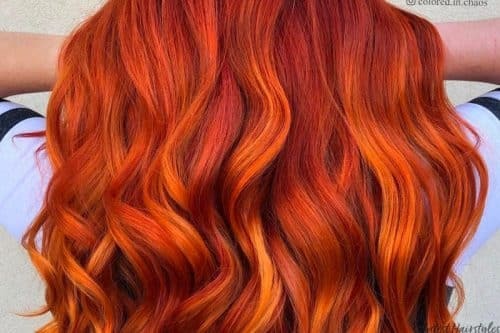 If you heat style your hair, I recommend you use your iron at no more than 350 degrees F with a heat protectant spray. This color is perfect for a laid back person who wants to have some fun without necessarily being the center of attention. I love that this is edgy and bold yet in certain lighting, it doesn’t appear as vibrant. The braid gives the whole style a softer appearance. Be ready for the upkeep! This shade can/will turn green quickly if not taken care of properly. A direct dye in your shampoo/conditioner is a must. It’s definitely a dimensional cobalt hue. If you look at the individual locks of hair you can definitely see the different tones of depth in between. What I love about it is that it’s definitely the perfect tone without any traces of green. Which happens when trying to achieve this tone if you don’t get it to the proper canvas. This will fade to a beautiful pastel tone over time. 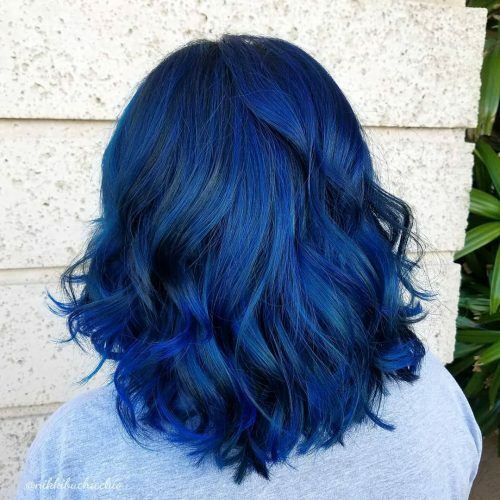 Blue is a long-lasting color and tends to be on the stubborn side even though this is a direct dye. You definitely want to use a professional sulfate free shampoo or a cleansing conditioner with cool to cold water to preserve any direct dyes, limit sun exposure/salt water/pool water. This color isn’t for someone who would want it to rinse out in a few weeks. I would stick with purples and pinks instead! 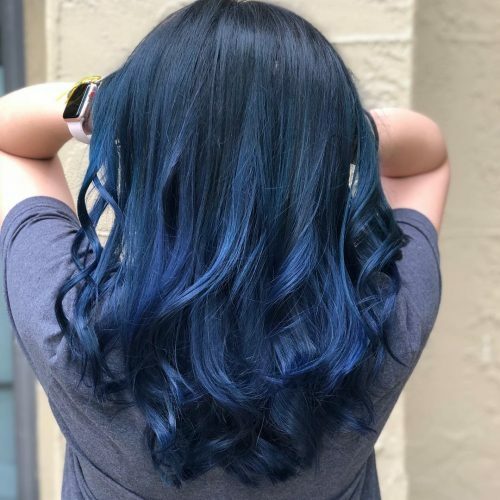 This is one of my favorite blue tones! I went in with a matte black base color for the root shade as well as alternating it, with our pre-lightened pieces using a balayage technique. Pre-lightening pieces just off the root to ensure movement and dimension. It has a very smokey denim hue indoors, where it can still be business casual! This same look outside has an extreme change in intensity! 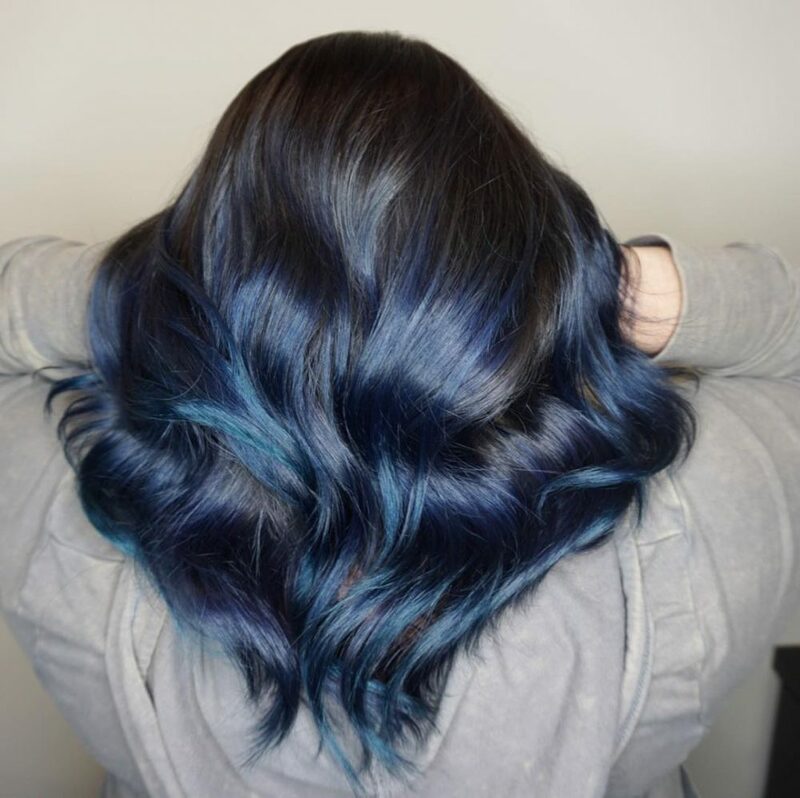 Going from cool tones to bright and strong deep tones. 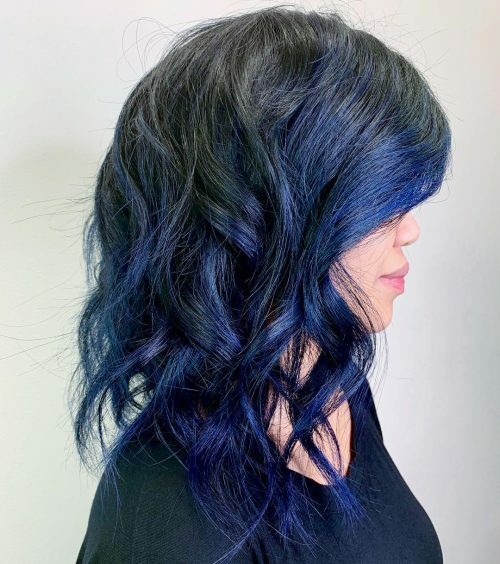 This midnight blue hair color is very fun and versatile. It does fade within 3-4 weeks. You can rock the teal and mint tones, it fades too. To keep this strong deep tone, refresh it every 4 weeks. For the pre-lightened procedure, use cool water and moisturizer to keep the cuticle sealed and to ensure the longevity of color. When it comes to skin complexion, the tone of blue can be changed. I recommend, emerald or teal undertone for pale complexion and smokey cooler shades or a purple/violet undertone for warmer/darker complexion. There are so many options, especially when you’re trying to spice things up! 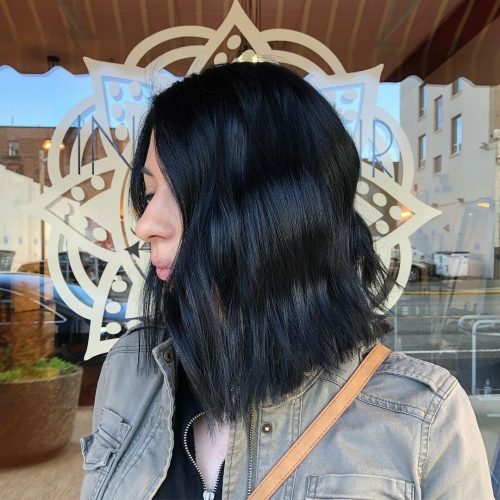 This a blue-black bob with blunt bangs and textured ends that provides a smokey effect. My favorite thing about this look is the mix of severity and subtlety. The jet black color and blunt bangs make it more severe, but the textured ends and subtle blueish color take a little bit of the edge off. Like any fashion color, blue black color requires a lot of maintenance. It is deceiving because it’s so much darker than the pastels and vivid colors you see all over Instagram, but it does still require lightening the hair. 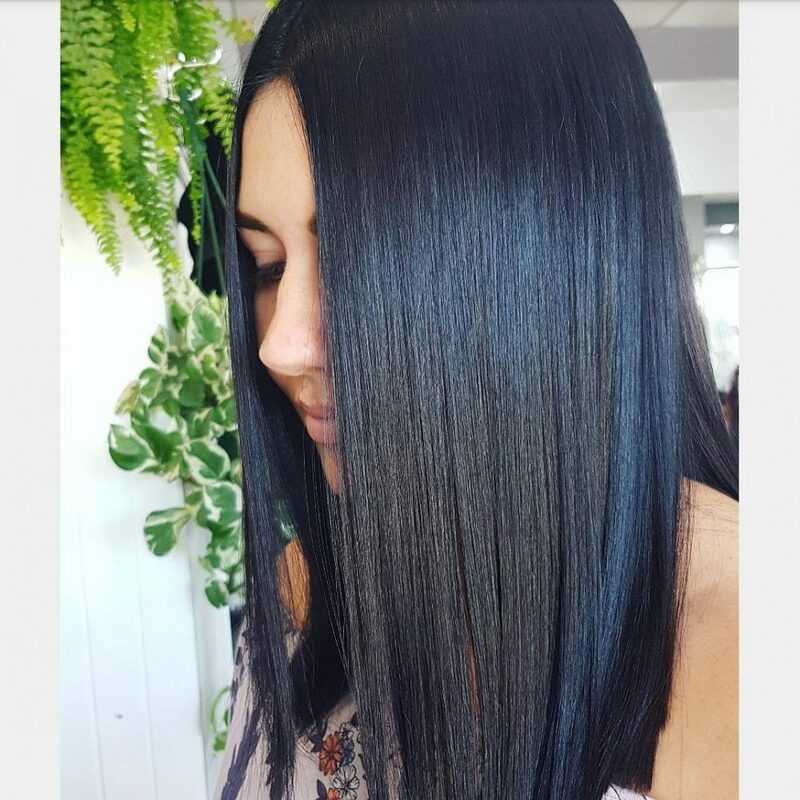 This client happened to already have some old highlights that were able to just be toned without any additional lifting. 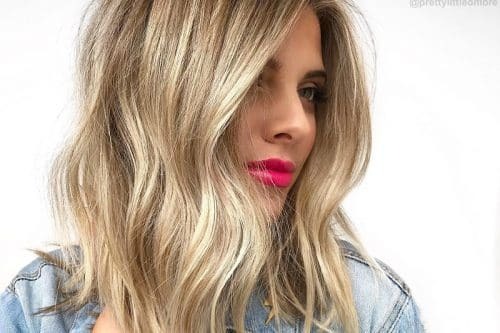 Anyone considering this look should be aware that it requires regular appointments for touch ups and treatments (especially if their hair is already fragile or over processed), as well as using products at home to help maintain the color and health of their hair. I send all of my fashion color clients home with a custom mixed color conditioner to help maintain their color. I also love Overtone conditioner for color maintenance. I called this look “Black Swan”. This look is can be referred to as a “shy vivid” because it’s perfect for people who want to enjoy an unnatural shade while still being workplace appropriate. My favorite thing about this look is how it changes in different settings. It looks like a deep black indoors but in the sunlight, it has the slightest tone of blue. 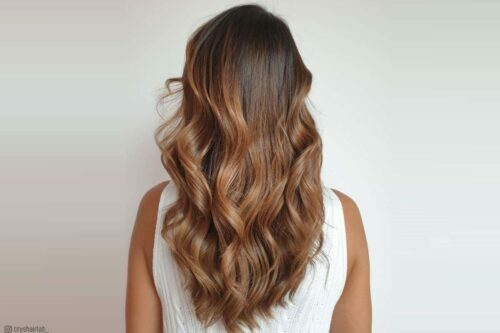 To achieve this type of look, the hair needs to be previously lightened for the color to adhere to the hair properly, as well as for the pigment to show. To maintain the color, I created an Olaplex color bomb for this client that can be used every wash to redeposit the color every time. This look would be an onyx black. My favorite thing about this look is that it’s versatile. She can be edgy and professional at the same time while having subtle hints of navy. Invest in a color-safe and sulfate-free shampoo. This will keep that color vibrant. This is truly a great color for just about any skin tone, whether warm or cool porcelain. With the onyx, it allows any black to radiate. This look has a subdued vibrancy that offers versatility. Indoors it can appear almost black, but outdoors in natural light, it illuminates with beautiful tones of blue. I love this look because it can be professional and fun, all while giving a kick of personality. This look is definitely for a person who currently has or has had black hair and enjoys being “dark”. It’s certainly for someone who wants to add life and personality to their hair. It is considered a fashion color, which means it is a direct dye and requires maintenance. Depending on the client’s hair type, texture, previous chemical history, at-home care, and lifestyle, this color may fade rapidly. 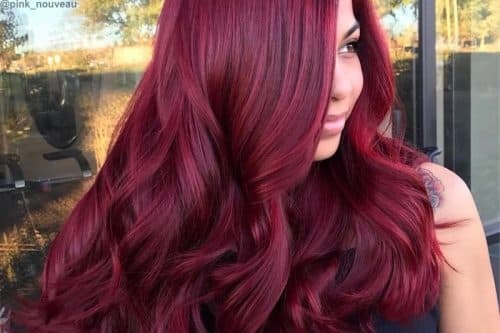 Fashion colors typically last anywhere from four to 20 shampoos depending on depth, tone, the integrity of the hair, and of course the temperature of water and the quality of shampoo. Hair should be washed in cool water with a professional, sulfate-free shampoo. 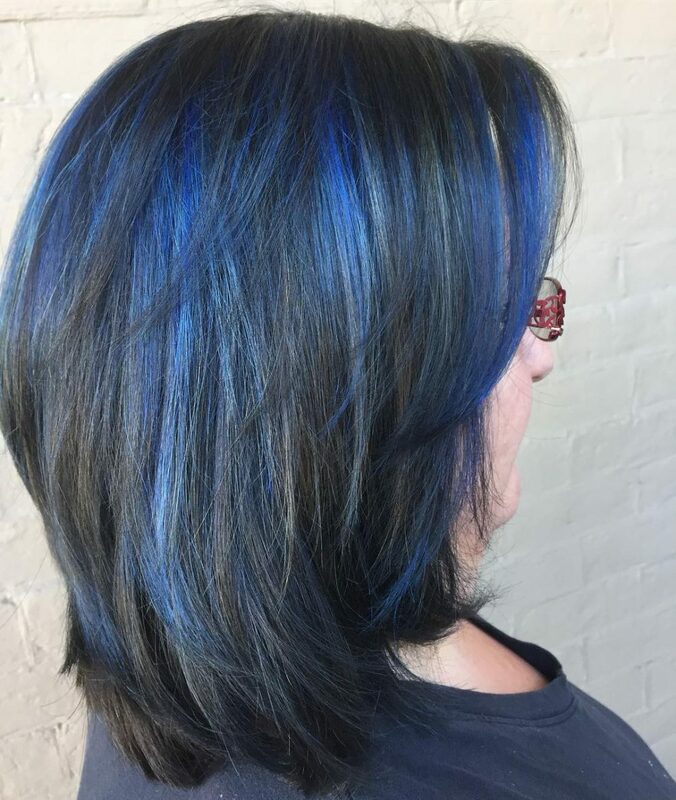 It is important that a client comes back every six to eight weeks for a color refresher to deposit those tones back into the hair. 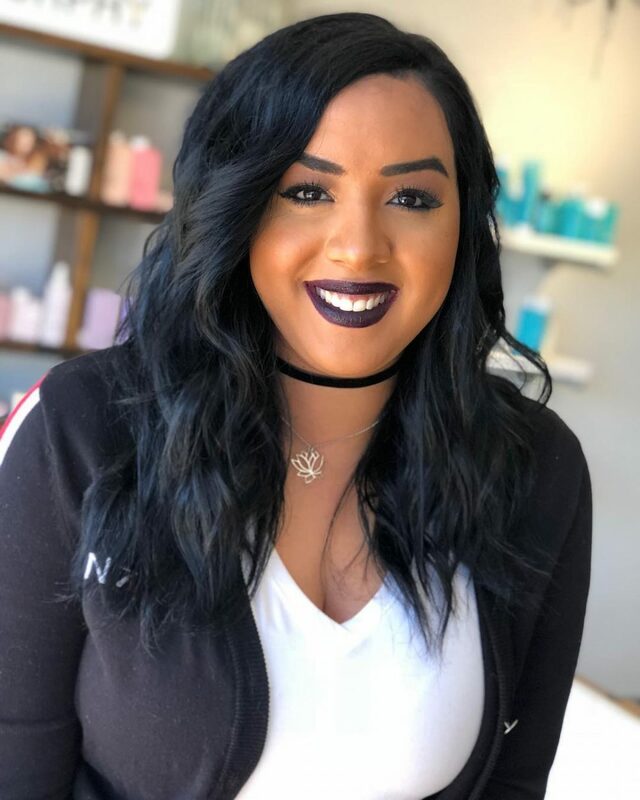 This look has a mild amount of maintenance, but with proper knowledge, regular salon visits, and a passionate stylist, you will consistently have fun and beautiful hair. I love the shine, vibrancy, and contrast in this beautiful color! I get excited when a guest wants to be fashion forward and adventurous. 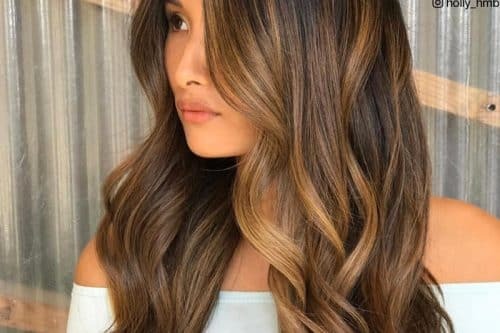 She will have to re-glaze every five to six weeks to maintain the vibrancy and use color-protecting products to maintain the integrity of the hair and color. This look is fun, flirty, and vibrant. The type of person who can wear this look is someone who is creative and edgy with a strong personality. It’s perfect for the person who likes to stand out from the crowd and be that “wow” girl! This look has attitude, and it’s strong and fierce! I love that it’s not just a plain old black color. It has edge and personality to it! The high shine and quality color are what make it perfect. 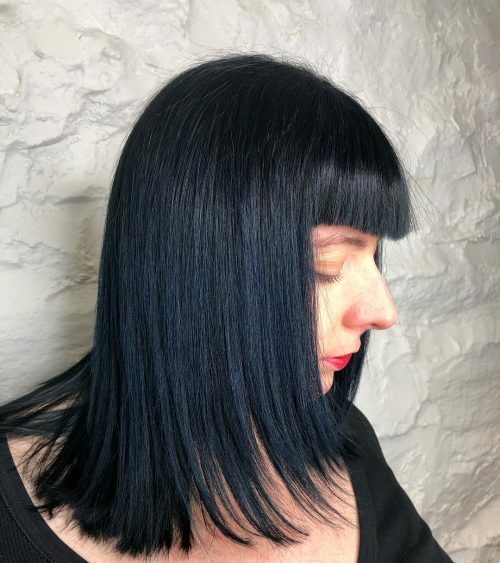 Any client wanting this color needs to know the commitment blue black requires. It is one of the deepest colors you can go to, and to remove it is very difficult. For those dark-featured clients, it’s so easy to maintain. Pair it with an edgy blunt cut for a professional look that speaks volumes. With natural black hair, adding some shine spray will definitely improve the overall look. I am OBSESSED with the depth and dimension that this look gives! It’s dark and bright at the same time and invites conversation. I would describe it like the waves of a storm at sea. Fierce! 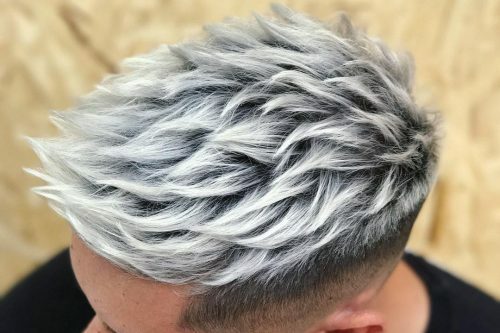 My favorite thing about this color is how beautifully the demi-permanent @guy_tang #mydentity color reflects the light. It’s so vibrant. I used the shades 1MB (midnight blue) and 3MB and I added some aqua booster to the color on the ends to make them pop. 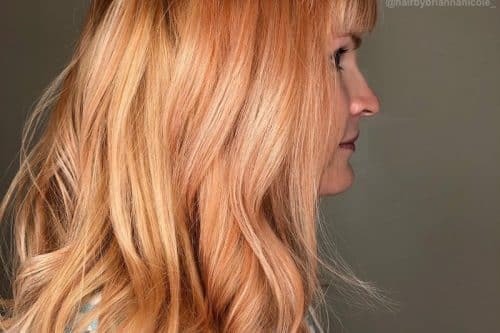 I also included Olaplex in her lightening and color service to ensure her hair remained healthy and the color would last as long as possible! Even though we did blue black on her hair, in order to get the blue to show up so well we still had to pre-lighten/bleach it out to a light blonde first. Colors like this are high maintenance and require regular salon visits. 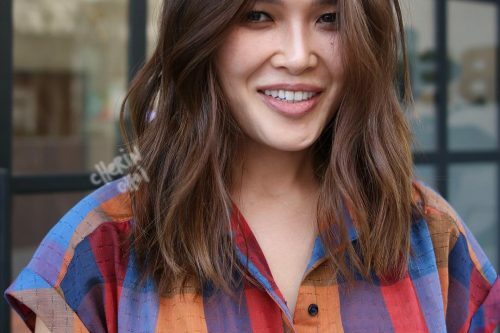 If you’re considering a look like this, I recommend reaching out to your stylist to talk about pricing and upkeep. Ask if it’s a color that would work with your hair type and lifestyle as well. If you can find a stylist with #mydentity color and Olaplex, that’s an extra bonus! This look is so rich and classy and will turn any head. Blue (no matter what tone) has a very cold background, so black is its best friend. Black is rich, inviting, and will complement just about any eye color. If you suffer from rosacea or feel as if your skin pulls warmth (reddish), you may not think it, but black against your skin will cool it off and will leave you looking foxy! First things first, the hair must be healthy enough to handle a little pre-lightener. Hair color (no matter what color line from across the world) CANNOT perform miracles. If your hair is brittle or broken, start by using salon haircare treatments. Products not bought at a salon or beauty supply store are NOT professional products. Upkeep is VERY important with any color. In today’s world, there are so many pigmented shampoos so there is no excuse for your hair color to fade quickly. For this client, I recommended Blacklight blue shampoo, Olaplex No.3, and Red E To Go. She also struggles with frizz, so we used Bedhead After Party for a more sleek style. 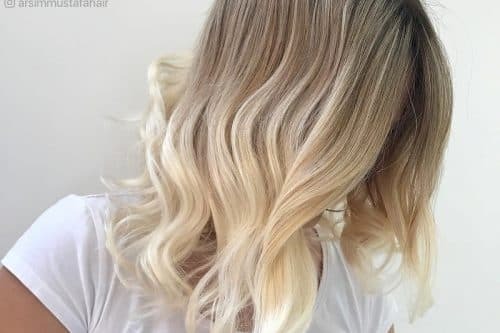 This shampoo is marketed for blondes to counteract any yellow tones, but don’t kid yourself, this heavily pigmented shampoo will keep depth in any hair color. I balayaged the blueish tone against the black so she would have a blended but contrasted look. She is 75% grey, so the balayage is perfect considering in four to six weeks she will only need he regrowth colored. 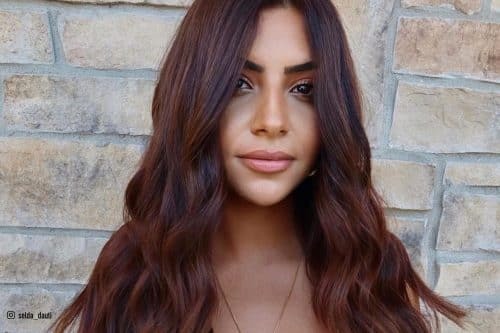 As much as this color may seem daring/scary/outthere/in your face/only for the young, it is actually a very sophisticated and bold look that is achievable by any HEALTHY hair type or texture. Remember, it’s not the color you wear, it’s how you wear it. All you need is confidence! This look is one of my favorite looks/colors to create as a hairstylist. This color is perfect for someone that wants a very modern and classic look, but still wants a little vibrancy, dimension, and an extra pop of color. My favorite thing about this creation is that it is still acceptable for a professional work environment but in certain lights, especially the sun, will give you a bunch hues within your elegant, black colored hair. I personally feel that anyone can try this color, no matter what face shape or skin tone you have. 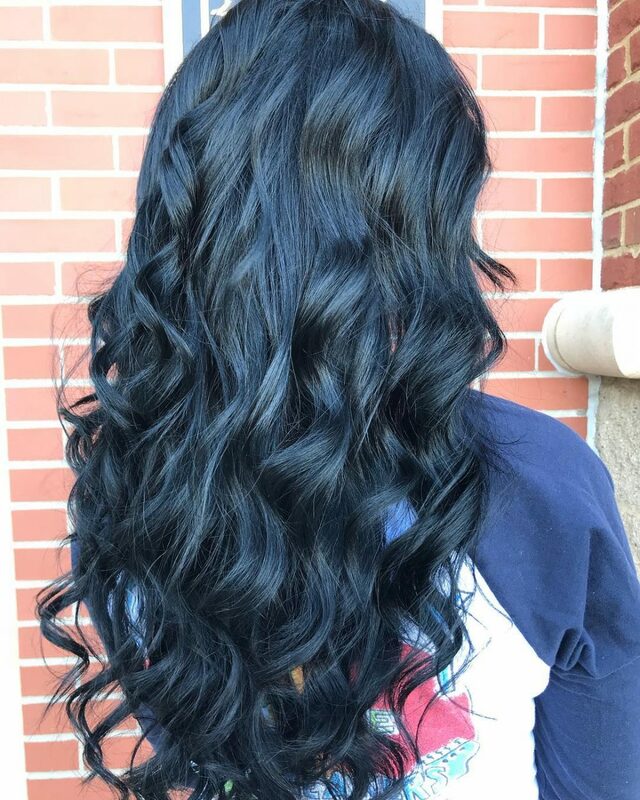 Although changing your hair color to black can be intimidating, it may be rewarding in the end! 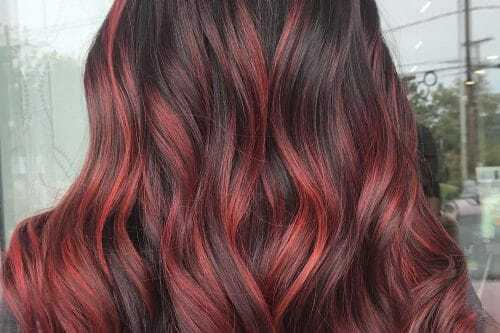 Hair color can always be changed, so if you are thinking about trying this, I would say go for it! 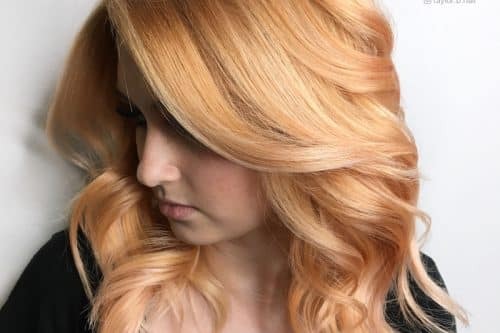 This is an easy color to maintain and even apply, which is great when you don’t have a lot of free time to spend at the salon. I definitely recommend a color-protecting shampoo and conditioner (I use all Paul Mitchell products) to keep the hair color long lasting, shiny, and vibrant. 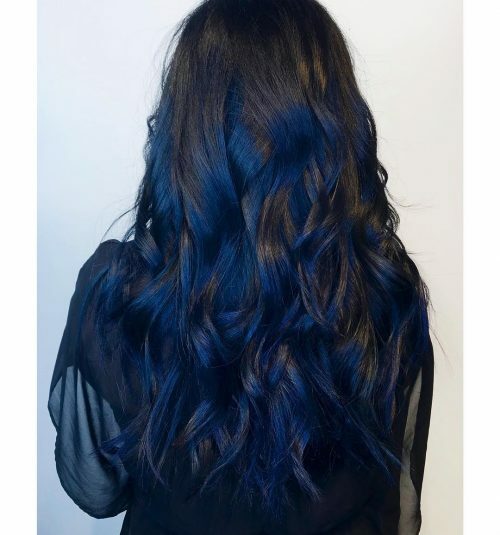 To create this look, I used Paul Mitchell XG: equal parts 4AA and blue intensifier with 10 vol for the most deposit of color to the hair. I would describe this look as a bold, blue black bob. My favorite thing about it is the combination of non-traditional or “fashion color” blue with an ashy indigo black base color. 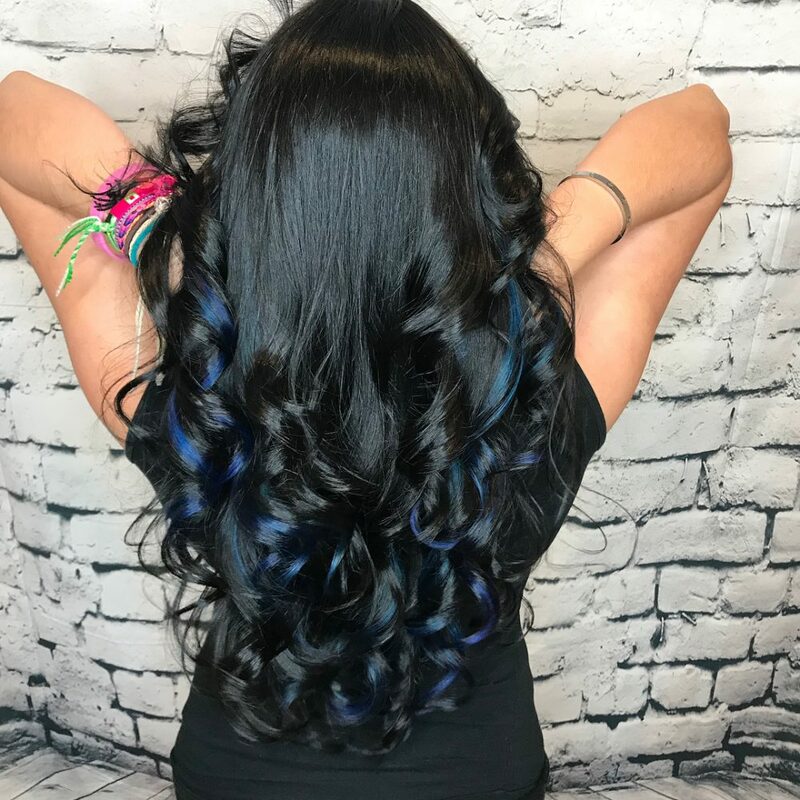 Many blue black hair colors are more of an all over dark color with a hint of navy. I love that this client isn’t afraid of being bold! To maintain this look, I recommend a color-safe, paraben-free and sulfate-free shampoo. My favorites are by MoroccanOil and Kevin.Murphy! I would recommend purchasing a color-tinted conditioner to maintain the brightness of the blue highlights at home. My favorite brand is Overtone for at-home color maintenance. 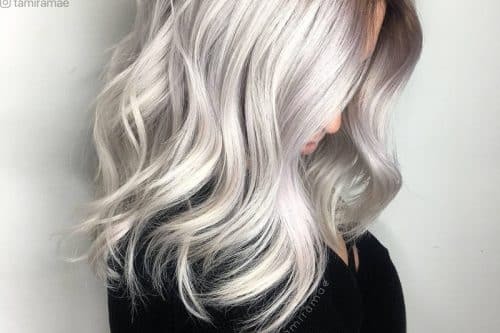 The perfect client for this hairstyle is someone who is either comfortable with a little more at home care to maintain the color or someone who doesn’t mind coming in frequently for touch-ups (about every five weeks). Non-traditional fashion colors are not low maintenance due to fast fading. This look is great for people who have a warm skin tone and want to counteract redness in their face. 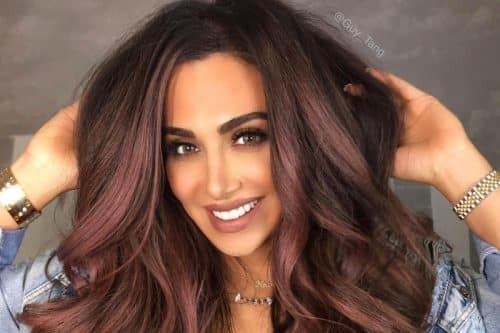 These bright colors fade quicker with the use of heat, so someone who has a low maintenance style routine without a lot of flat ironing or curling is best!